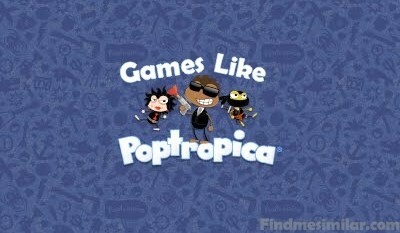 Virtual Role Playing Games Like Poptropica '+g+"
Poptropica is an online, role-playing game owned by Pearson PLC, the global publishing and education company. It was made by Jeff Kinney, the author of the Diary of a Wimpy Kid series. The site is aimed at children ages 6 to 15. Players can go to different islands, compete in multiplayer games, and communicate with each other. Players are given several quests, called islands, which they are encouraged to complete. If you are a fan of virtual role-playing games like Poptropica and looking for more games with similar gameplay then find the recommendations for it below and don't forget to mention if we miss any games as we keep on updating this list. Fantage is a virtual world for children where they can play, socialize, and learn in a safe and exciting online environment! Users can explore the world with their own personal avatar, which they can customize by choosing distinctive features, hairstyles, and clothing. Pixie Hollow is a massively multiplayer online role-playing game where you can create your own fairy character like Fairy(Female) or Sparrow Man(Male) to play games and interact with friends. RolyPoly Land,......if you can think of more, then don't forget to mention it in comments.